Insurance companies often try to reduce the amount they will pay for an injury claim – or reject the claim entirely – by using the same dubious and predictable tactics that some insurance companies been using for years. If you’re like most people – meaning you have little if any experience dealing directly with insurance companies – you might become frustrated and decide to just forget the whole business of seeking compensation, even if you’ve been seriously injured. Insurance companies count on a certain percentage of people walking away from legitimate claims out of exasperation. Don’t be one of those people. If you are having trouble with an insurance company that is refusing to honor an injury claim, a Pasadena wrongful death attorney can help. Below is a brief discussion of the most common ploys used by insurance companies to avoid paying injury victims who have legitimate injury claims. HOW DO INSURANCE COMPANIES TRY TO AVOID PAYING CLAIMS? 1. By denying fault or liability: The immediate response of some insurance companies to any injury claim is a denial that any of their policyholders could be at fault. If you are injured, and the insurance company tells you that no coverage is available, have the insurance adjuster explain why – in writing. A letter of explanation should refer to the exact provisions that limit the policy’s coverage. When an adjuster informs you that there is no coverage for your claim “according to the company’s attorneys,” don’t think you are defeated. You might even be sent a letter from a lawyer working for the insurance company. Don’t let yourself be bullied. One lawyer’s opinion is only one lawyer’s opinion. If the insurance company refuses to offer an acceptable settlement and your claim goes to court, the court alone will decide. Alternatively, an insurance company might tell you to try collecting against a different policy – and from a different company – if several parties were involved in the accident. If you are injured by negligence in a traffic collision or in any other kind of accident, it’s usually best to speak first with a qualified personal injury attorney who can advise you regarding your legal rights – and avoid speaking to the insurance company entirely. 2. By using delaying tactics: An insurance company should process an injury claim within a reasonable length of time. Stalling is a typical tactic because if the company stalls long enough, some people will give up and the company pays out nothing. The company might claim that an investigation is “ongoing” or “still pending.” Some companies will even tell claimants that they are at fault for a delay because they missed a deadline, failed to send a notification, or some other technicality. 3. By alleging that your injury was pre-existing: An insurance company will sometimes make the charge that you weren’t really injured as you claim, but instead, you were already injured, and you saw the accident as a chance to take advantage of your pre-existing condition. This is why you must seek medical attention immediately after an accident, whether or not you think or feel that you’ve been injured. If you need to file an injury claim later, you’ll need to have complete medical documentation that confirms your claim. 4. By minimizing the payment of a claim: When an insurance company cannot entirely deny a legitimate claim, it may try to pay as little as possible. The company may try to reduce what it should pay by claiming that the injury victim was – himself or herself – at least partly at fault for the accident and injury. If you had vacation days or sick days due from your employer, an insurance company might try to avoid paying for the wages you lost while you were injured by saying those wages were already covered. In such cases, if you are the injury victim making the injury claim, let a skilled Pasadena personal injury attorney advise and represent you. When a consumer in California purchases an automobile insurance policy, the insurance company becomes legally obligated to provide the coverage spelled out in the policy and to settle legitimate injury claims against the policy promptly and professionally. 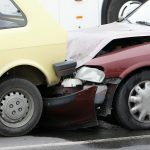 An auto insurance company that fails to meet their legal obligation may be operating in “bad faith” under California law. 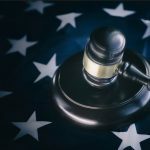 A California injury victim whose bad faith lawsuit prevails against an insurance company may also in some cases be awarded part of his or her attorney fees along with the damages for the original, underlying personal injury claim. How can an injury victim know if an insurance company’s actions constitute bad faith? 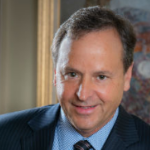 A personal injury attorney can probably tell you upon examining the details of your injury claim. WHAT IF THERE REALLY IS NO COVERAGE? In some cases, once you’ve read the provisions of the insurance policy and you’ve met with an insurance adjuster and a personal injury attorney, you might find that the company is right and the insurance policy, in fact, provides no coverage. In such cases, your injury attorney may be able to suggest other sources of compensation. If a defective vehicle or vehicle part or a badly-maintained roadway played any part in the accident that injured you, you may be able to file a claim against the vehicle manufacturer or the entity responsible for road maintenance. If a crash involves a large commercial truck, a number of parties could share liability. 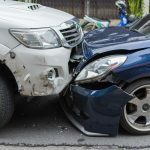 Candidly, if you have been seriously injured by someone else’s negligence in a southern California traffic accident – or any other kind of accident – dealing directly and personally with the insurance company is probably not something you should be doing. “Going it alone” might be fine if your only injuries were scratches, but when your health and future may be at stake, get legal help right away. If a negligent Southern California driver has seriously injured you, speak to a personal injury attorney before you sign any document, accept any settlement, or even make a statement to an insurance company. When you are recovering from severe injuries, an experienced personal injury lawyer can handle the legal work on your behalf while you concentrate on something even more important – getting your health back. What Is Insurance Bad Faith? How Are Car Accident Settlement Amounts Determined?